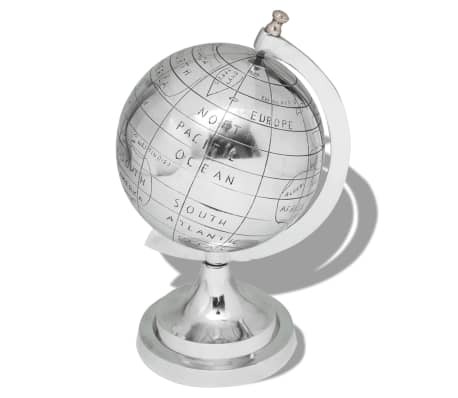 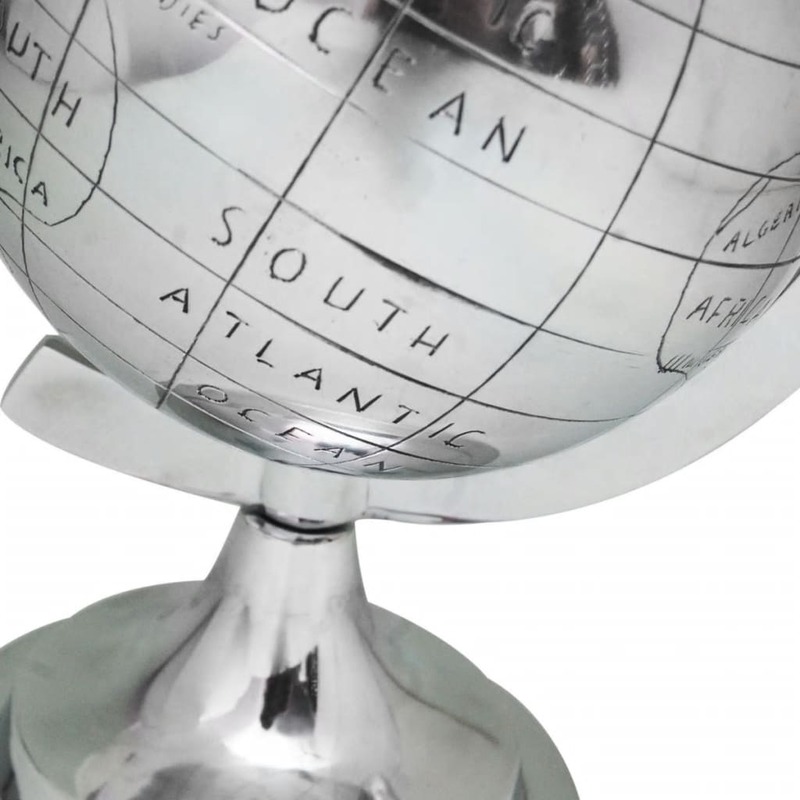 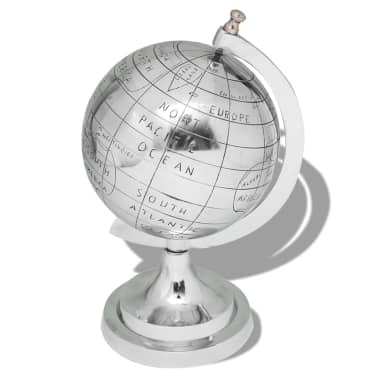 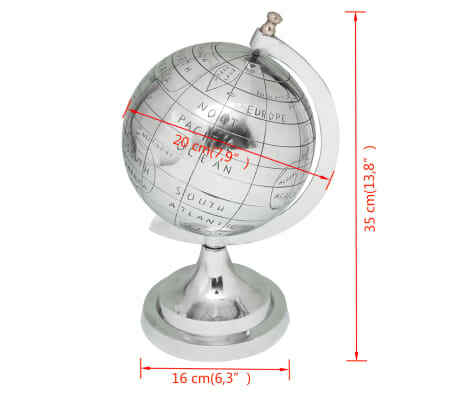 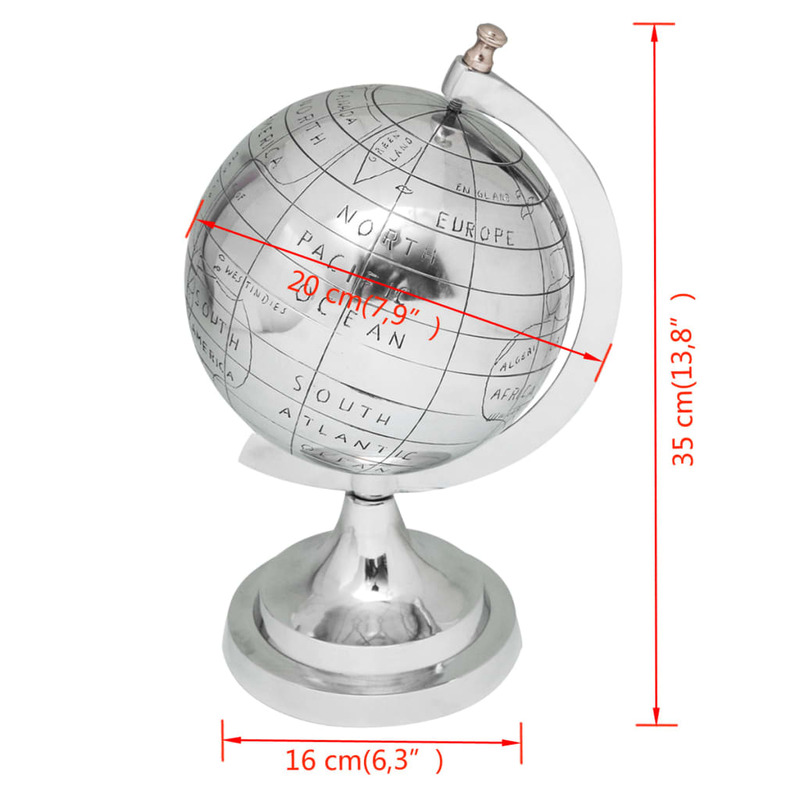 vidaXL Globe with Stand Aluminum Silver 13.8"
This exquisite globe with stand will become the focal point of any room. Made of high-quality aluminum, this ornament is lightweight, sturdy and durable. 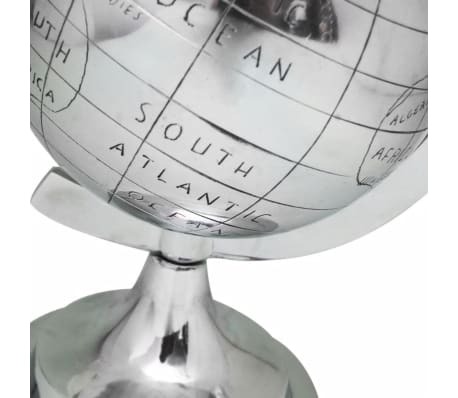 It is also very easy to clean.